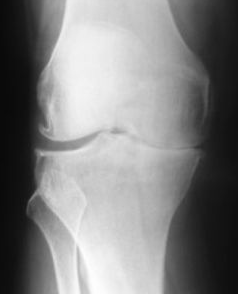 Although there are several forms of knee arthritis that you might develop, the symptoms are typically all very similar. While the pain associated with your arthritis might ebb and flow over time, the stiffness and swelling that you experience might begin to settle in. Generally, this will leave you in search of treatment options to relieve the discomfort that can begin to interfere with your daily activities. But, are you aware of all of the nonsurgical options that you can turn to if you need relief from your knee arthritis? Modifications to Your Lifestyle – One of the easiest ways to reduce your symptoms of knee arthritis is by making adjustments to your lifestyle. Weight loss, exercising, and being mindful of activities that can exacerbate pain can be extremely effective when you’re looking to increase functionality. Supportive Devices – Canes, special shoes or padded inserts, as well as braces can all be extremely effective at reducing your symptoms and providing you with the support that you need to carry on with your normal daily activities. Depending upon what specific needs you’re trying to address, you might want to explore your options carefully, as a brace can support different needs in contrast to a cane. Medications – Anti-inflammatory medications as well as pain relievers are most commonly prescribed for knee arthritis. Depending upon the severity of your symptoms, you even need joint injections to help address any pain or discomfort you’re experiencing more quickly. Injections – There are several different types of injection options available for knee arthritis. 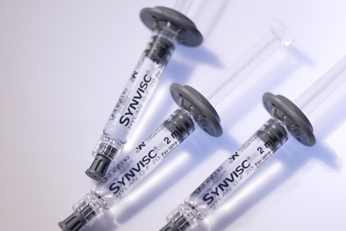 A Phoenix orthopedic surgeon may administer a cortisone injection or treatment with hyaluronic acid (e.g. Synvisc). The newest options available for knee injections include platelet rich plasma therapy and stem cell therapy with bone marrow aspirate or amniotic derived injections. Alternative Therapies – Acupuncture and magnetic pulse therapy are two alternative therapies that you might want to also consider. Both are designed to target specific areas of your body, which can make it much easier for you to relieve pain without having to rely upon medications or other treatments. Knee arthritis can be debilitating, leaving you feeling helpless when it comes to fulfilling your normal daily tasks. While many people feel as if surgery is the only way to properly address your discomfort, this is not the case. With so many different nonsurgical treatments to choose from, there are countless options that you can explore to see which works best for your condition. By doing so, you can free yourself from the discomfort of arthritis without ever having to go under the knife.